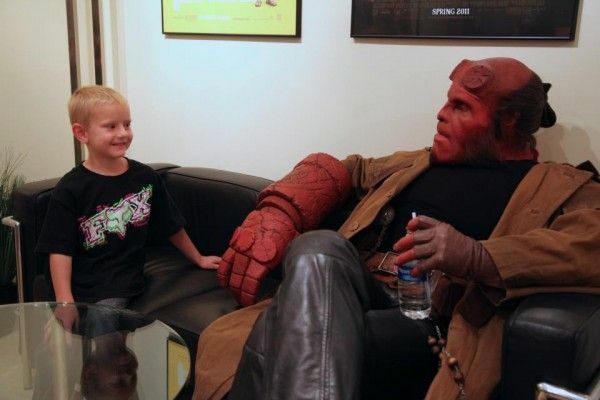 Ron Perlman (Hellboy) may be a great actor, but he’s an even better human being. When Perlman got word that Zachary, a six-year-old leukemia patient, told the Make-a-Wish Foundation that he wanted to “meet and become Hellboy,” the screen veteran was all in. 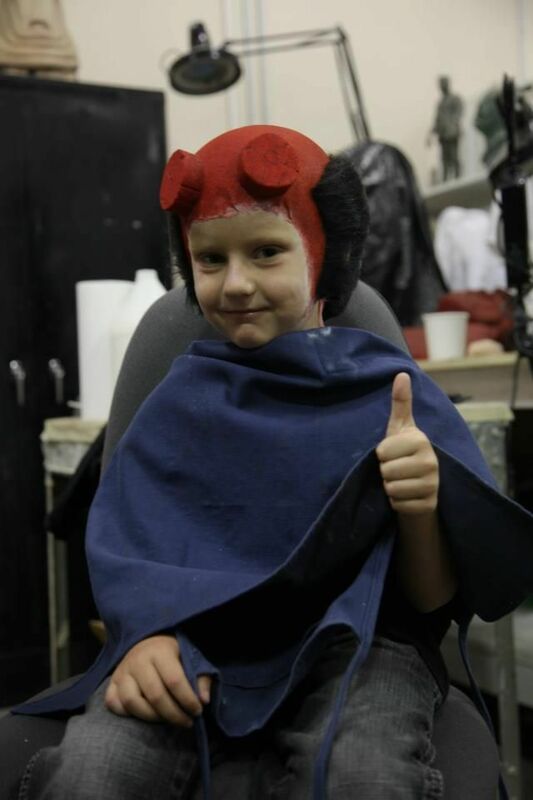 Re-teaming with Spectral Motion, the effects company behind Guillermo del Toro’s Hellboy and its sequel, Perlman underwent the four-hour transformation process to become the comicbook demon and meet Zachary. 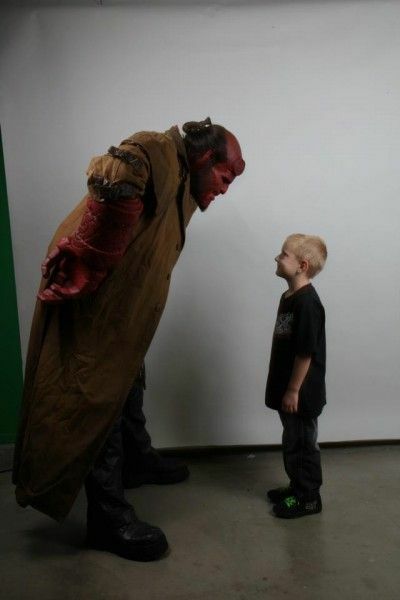 Imagine Zachary’s surprise when he not only met Hellboy in the flesh, but got to become a pint-sized version of his hero, courtesy of the make-up and effects team. Hit the jump for more pictures from the event and more charitable work from Spectral Motion. In the past three weeks, Spectral Motion has been honored to host two wonderful Make-A-Wish children, Caleb and Zachary. Zachary loved his visit for two very special reasons. It was Zachary’s wish to meet Hellboy and also to become Hellboy. 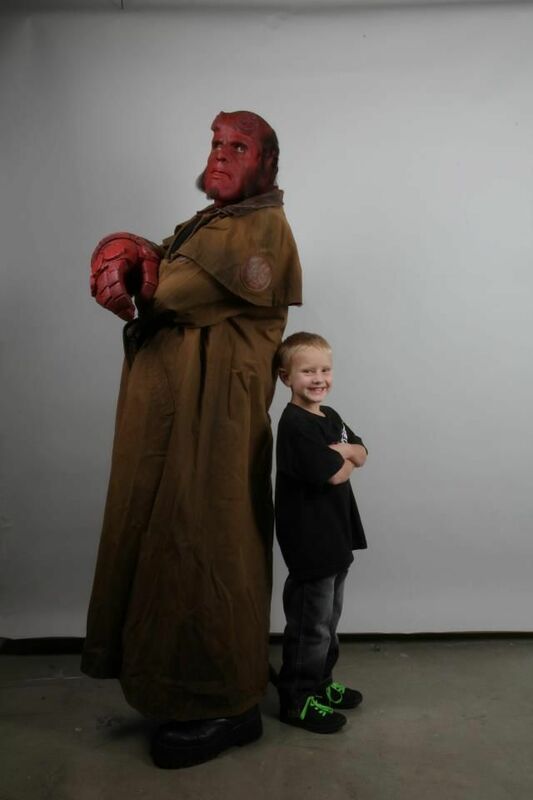 When the Make-A-Wish Foundation contacted Spectral Motion with this request, Mike thought it would be fantastic to have Ron Perlman reprise his role for the day. 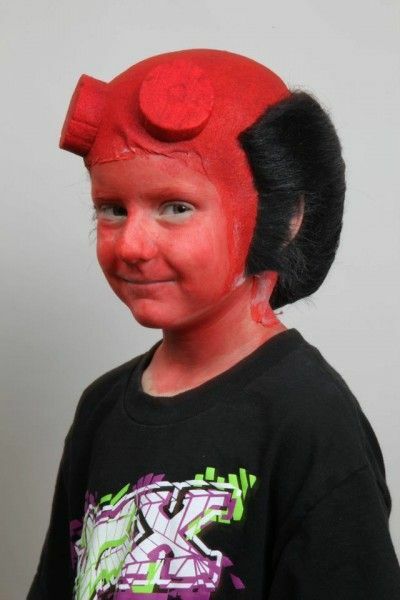 Ron loved the idea and donned the makeup once more (with the assistance of Lufeng Qu and Eden Elizalde) and also ordered a Hellboy sized meal of burgers, shakes, and fries for Zachary and his family and the entire Spectral crew to enjoy. 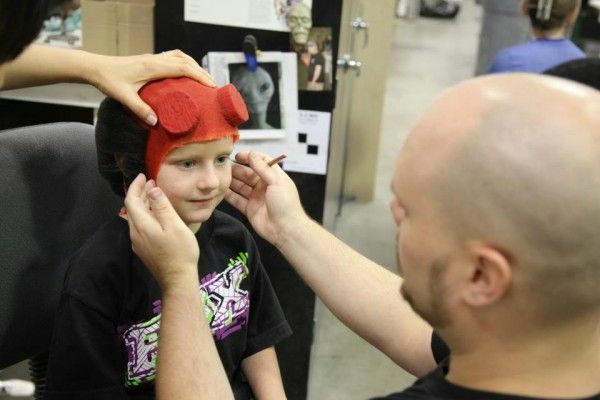 Later in the day, Zachary was transformed into Hellboy with the assistance of makeup artists Lufeng Qu and Neil Winn. Both of the Make-A-Wish days were a complete thrill for the families of the children, as well as for the crew at Spectral Motion!